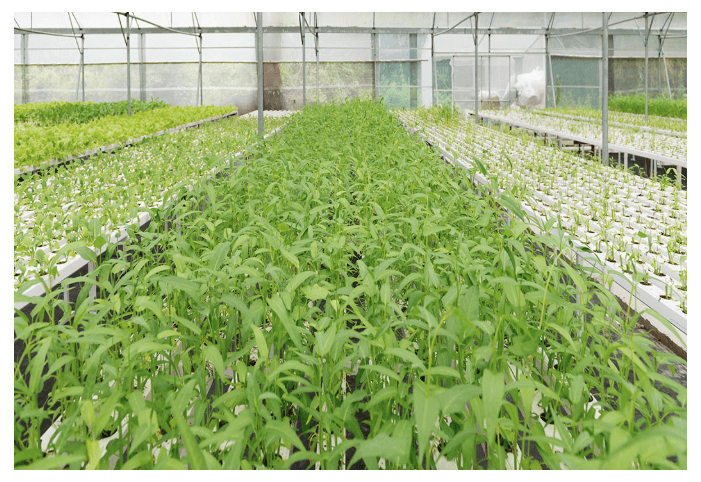 "Colombian Producer of Naturally Grown Premium Quality Cannabis Extracts"
Blueberries is seeking to become a large-scale producer of naturally grown premium quality cannabis with its primary operations well situated in the Bogotá savannah in central Colombia. Lead by a specialized team with proprietary expertise in agriculture, genetics, extraction, medicine, pharmacology and marketing, Blueberries has received all licenses required for the cultivation, production, domestic distribution, and international export of CBD (cannabidiol) and THC (tetrahydrocannabinol)-based medical cannabis. Colombia has been selected as the base of operations of the company due to its excellent climatic and economic conditions. 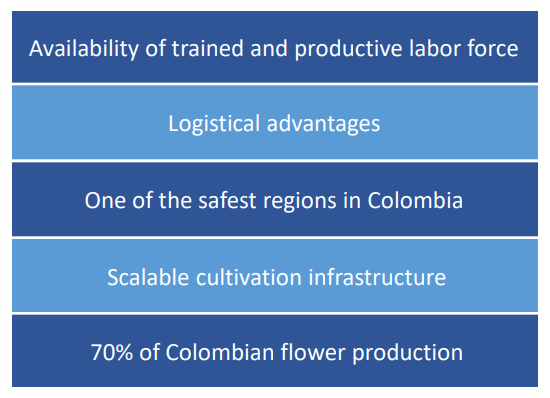 The appropriate environment for the crop and years of experience as an exporter of agricultural products such as coffee and flowers have made Colombia an important player internationally. Blueberries is a fully licensed producer of medicinal cannabis flower and oil products in Colombia. 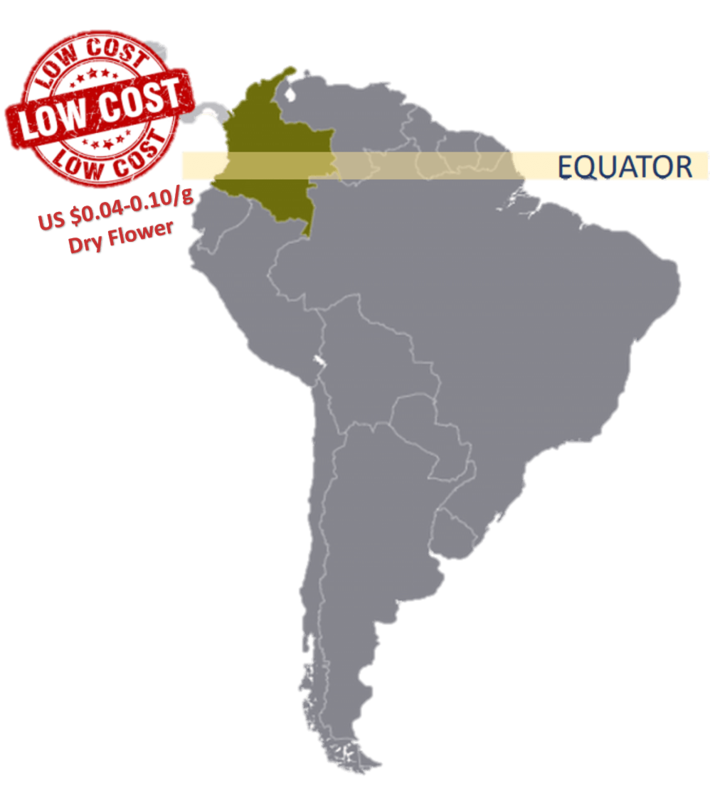 Located in the Bogota savannah, the major production center of cut flowers in Colombia. The Company registered and owns 54 exclusive Colombian cannabis strains with high contents of CBD and THC. Strains tested by the Company’s master grower in different climates, altitudes and regions of Colombia. Blueberries Medical Corp. (CSE: BBM) (OTCQB: BBRRF) (FRA: 1OA) (the “Company” or "Blueberries") a Latin American licensed producer of medicinal cannabis and cannabis-derived products, is pleased to announce the appointment of Eduardo Molinari, a former executive of Abbott Laboratories (NYSE: ABT) (“Abbott”) and AbbVie Ltd. (NYSE: ABBV) (“AbbVie”) as Chief Marketing Officer. Mr. Molinari will lead the development and implementation of the Company’s marketing strategies, directing these initiatives in the local and international markets. Mr. Molinari has more than 25 years of experience in the pharmaceutical industry, having held executive leadership positions in countries across Latin America, most recently VP Region North – Latin America of AbbVie until December 2018. In 2012, when Abbott spun out it’s pharmaceutical business to form AbbVie, Mr. Molinari left Abbott to establish AbbVie in Latin America where he played a key role in the growth of the company in the region. His business expertise is combined with deep experience in R&D both in academia at Northwestern University Medical School in Chicago and in the pharmaceutical industry. Mr. Molinari has shown continued growth as a leader in the industry with a commitment to bringing healthcare solutions to patients globally. Mr. Molinari has been granted options (the “Options”) to purchase up to 200,000 common shares in the capital of the Company, pursuant to the Company’s stock option plan. The Options are exercisable at a price of $0.75 per share. Blueberries Medical Corp. (CSE: BBM) (OTCQB: BBRRF) (FRA: 1OA) (the “Company” or "Blueberries") a Latin American licenced producer of medicinal cannabis and cannabis-derived products, has signed a definitive joint venture agreement (the “Agreement”) with the International Research Center on Cannabis and Mental Health (“IRCCMH” or the “Center”) for the development of medical education programs for physicians and patients in Latin America and product formulation. IRCCMH is a leading research and academic organization in the cannabis sector with extensive experience in cannabis research and education, pharmacology, product formulation and the efficacy of cannabis-based treatments. Based in New York and aligned with the Silver School of Social Work at New York University, IRCCMH is comprised of renowned scientists, educators and clinicians and was created to bridge a gap between research and clinical practice. IRCCMH also creates education programs for physicians and patients and acts as advisor to several state-sponsored medical cannabis programs and has guided state regulators to create and implement cannabis programs in Pennsylvania, Delaware, New Jersey, Utah, California and other states. Founded by Jan Roberts, LCSW and Jahan Marcu, Ph.D, the Center’s founders and staff are regarded as thought leaders in the sector and have also been deeply involved with several other leading cannabis focused associations and are respected authors and speakers within the industry as further detailed below. IRCCMH will leverage its background and expertise to support the development of Blueberries’ commercial and educational initiatives. Together with IRCCMH, Blueberries is developing a treatment-focused medical education program designed to assist physicians in prescribing cannabis-based treatment plans to patients (the “Program”) in Latin America. A comprehensive patient and physician education program will be a cornerstone of Blueberries’ strategy for the introduction and adoption of cannabis-based treatments, positioning Blueberries as an early leader in the Latin American medicinal cannabis market. This initiative will initially be rolled out through the company’s previously announced partnership with El Manantial Medical Centers in Bogota which will provide the platform, resources, patients and expertise needed to launch the Program and commercialize the formulations and products developed through the collaboration with the IRCCMH. Blueberries is further extending its patient & physician network currently, replicating the El Manantial Medical Center model with other physicians, institutions and medical associations. In addition to the development of best in class educational programs for the education of physicians and patients in Latin America, access to IRCCMH´s team of specialists with deep expertise in medical cannabis will facilitate faster product development and generate the appropriate formulations and product standardization to accelerate the commercialization of the Company’s medicinal cannabis products, initially through El Manantial Medical Center’s rapidly growing patient base and the Company’s other strategic arrangements. Based in New York and aligned with the Silver School of Social Work at NYU and building upon years of expertise working with cannabis and mental health in the United States, IRCCMH was created to bridge a gap between research and clinical practice. IRCCMH was co-founded by Jan Roberts and Dr. Jahan Marcu in 2017 to provide quality research and education to the medical cannabis community. IRCCMH is a community-based institute in New York City that collaborates with universities, researchers, foundations, state institutions, and other organizations to leverage the best talent in the field. The Institute works to build educational seminars, expand research with universities, and provide consultation for healthcare professionals and regulatory organizations in order to improve patient care. Through its numerous projects, Marcu and Roberts have been instrumental in creating dialogues in areas of cannabis education and investigation that hadn’t been previously addressed. For more information visit www.irccmh.org/about-irccmh. Jan Roberts is a co-founder for IRCCMH and serves as CEO and Director of Translational Research. Ms. Roberts is a Licensed Clinical Social Worker who owns and operates one of the largest collaborative care practices in the mid-Atlantic region - Partners in Health and Wellbeing. Ms. Roberts is a clinician and an entrepreneur with an activist spirit who has extensive experience running both non-profit and for-profit healthcare organizations. Ms. Roberts teaches at NYU Silver School of Social Work and is currently working on a funded study of Mental Health Clinicians and Knowledge and Attitudes on Cannabis. She is also Guest-Editor for a Special Issue on Cannabis and Mental Health for the Clinical Social Work Journal (CSWJ). Ms. Roberts' current work is focused on the clinical application of cannabis in mental health settings and focusing on maladaptive coping strategies rather than a substance-based approach to treating addictions. As a result, Ms. Roberts is especially interested in educating fellow mental health clinicians on the most recent research findings to address stigma and lack of knowledge related to cannabis, the endocannabinoid system and mental health outcomes. Jahan Marcu, Ph.D., is a co-founder for IRCCMH. Dr. Marcu is the former Chief Science Officer at Americans for Safe Access (a medical cannabis advocacy non-profit) and former Director of the Patient Focused Certification program, which is a health and safety oversight program that assesses regulatory compliance at cannabis operations. He is co-founder and past-chairman of the CANN subdivision of the Chemical Health and Safety Division (DCHAS) of the American Chemical Society. His is also on the Board of Directors of the International Association for Cannabinoids as Medicine. He has a background in analytical chemistry and molecular pharmacology, and received his Ph.D. for contributions in characterizing the structure and function of the cannabinoid receptors. He is an author of the American Herbal Pharmacopeia's Cannabis Monograph and serves on multiple expert government, trade association committees and scientific organizations. Dr. Marcu has helped create medical cannabis educational training for clinicians and for workers in the medical cannabis industry, and has been invited to speak at many international conferences and universities, including the University of Leiden, Temple University School of Medicine, Princeton Hospital, and Yale University. Dr. Marcu is also a court qualified expert witness on cannabis and synthetic cannabinoids. Dr. Marcu is a recipient of the Billy Martin research award from the International Cannabinoid Research Society. Blueberries Medical Corp. (CSE: BBM) (OTCQB: BBRRF) (FRA: 1OA) (the “Company” or "Blueberries") a Latin American licensed producer of medicinal cannabis and cannabis-derived products, is pleased to announce that the Company’s executive management team will attend and present at GMP Securities’ 2019 Global Cannabis Conference on April 16, 2019 at The Ritz-Carlton, Toronto. Dr. Stocker will discuss his extensive experience in cannabis cultivation in Colombia, his vision as well as the Company’s recent operational developments including the Company’s Colombian operations, entry into Argentina, extraction facility build-out and their strategic global relationships. Blueberries Medical Corp. announced that it has commenced the Phase 1 planning process with Argentinian state owned cannabis company Cannabis Avatara, S.E. (“Cannava”) in connection with the cooperation agreement entered into under the scope of the “Provincial Program of Promotion of the Cultivation and Production of Cannabis with Scientific, Medicinal and Therapeutic Purposes of the Province of Jujuy in Argentina” (the “Joint Venture”), through its agreement with BBV Labs Inc. as recently announced by the Company. The first phase of the Joint Venture project will be a Pilot Cultivation Program (the “Pilot Project”) and consists of the preparation and cultivation of cannabis on a 107,000 square foot (1 hectare) area on public lands provided by Cannava with the goal of producing 4 million grams (4,000 kg) of dry cannabis flower and approximately 400,000 milliliters (400 liters) of cannabis oil. The Pilot Project will also evaluate and characterize cannabis seeds and strains that are ideal for the climate conditions of Jujuy, and document the proposed operating procedures, technical processes, strains and products that the Joint Venture is seeking to produce. The Company is in the process of preparing the proposed Pilot Project plan for Cannava’s approval and processing of the applications for the permits as required, with the goal of completing the Pilot Program by May 2020, with an estimated capital requirement of $750k to $1M. “We are very excited to have formally commenced Phase 1 of this project with our Joint Venture partners as we begin the planning for the development of a world class cultivation, extraction, formulation and manufacturing facility in Jujuy, Argentina,” stated Camilo Villalba, Chief Operating Officer of the Company. Formally introduce the teams and initiate the scope of the Joint Venture to develop and progressively cultivate cannabis in a scalable project on public lands, under the scope of the Provincial Program of Promotion of the Cultivation and Production of Cannabis with Scientific, Medicinal and Therapeutic Purposes of the Province of Jujuy in Argentina. Determine preliminary steps required to design, prepare and undertake the Pilot Project within the public lands that Cannava will identify in accordance with its plans and ongoing projects. Identify and select an initial 107,000 square foot (1 hectare) area to undertake the Pilot Project. Identify the specific permits and authorizations that the Joint Venture will require from provincial and federal authorities to effectively accomplish each phase of the project, including but not limited to the authorization from the National Institute of Agricultural Technology or INTA, National Institute of Seeds or INASE, National Service of Health and Quality for Agriculture and Nutrition or SENASA, as well as custom permits for the import of the cannabis seeds to be selected by the parties for the project. Upon successful execution of the Pilot Project, the parties expect to commence the commercial production phase of the Joint Venture project. Blueberries will present to Cannava a proposed Definitive Cultivation Plan for the Joint Venture. Commercial production under the Joint Venture will commence upon Cannava’s approval of the proposed Definitive Cultivation Plan and the receipt of all definitive permits for the cultivation, manufacture, distribution and export of cannabis derivative products from federal government to be obtained by Cannava with the support of the Company. Blueberries Medical Corp. (CSE: BBM) (OTCQB: BBRRF) (FRA: 1OA) (the “Company” or "Blueberries"), a leading Colombia based licensed producer of medicinal cannabis and cannabis-derived products, is pleased to announce that its common shares will commences trading on the OTCQB Market (the “OTCQB”) today under the ticker symbol “BBRRF”. 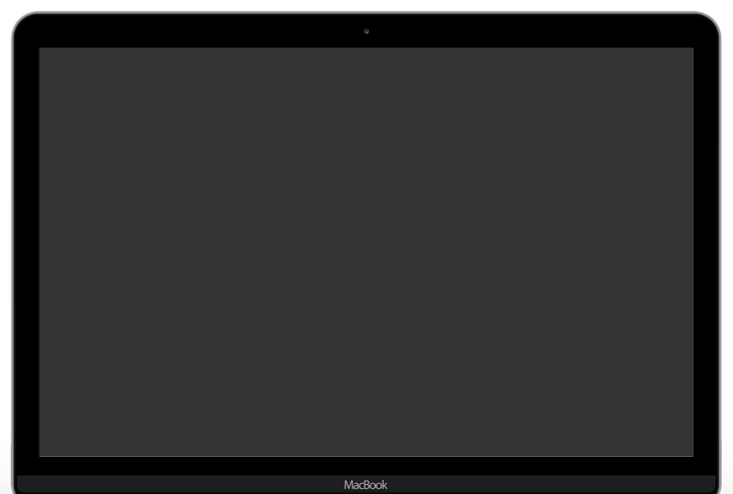 OTCQB is a trading platform in the United States operated by the OTC Markets Group in New York which provides real-time quotations and market data to a broad network of broker-dealers and retail investors. The Company’s common shares are also listed on the Canadian Stock Exchange (CSE) and on the Frankfurt Stock Exchange (FSE) in Germany. The Company has also applied for eligibility to The Depository Trust Company (“DTC”) for DTC eligibility for the trading of the Company’s shares on the OTC Market in the United States. DTC manages the electronic clearing and settlement of publicly traded companies to provide for quicker, more efficient and lower cost settlement for securities traded on the OTC Markets. The Company expects to be fully DTC eligible in the coming weeks and will provide an update in due course. Blueberries Medical Corp. (CSE: BBM) (OTC: BBRRF) (FRA: 1OA) (the “Company” or “Blueberries“), a leading Colombia based licensed producer of medicinal cannabis and cannabis-derived products, is pleased to announce that the Company has entered into a binding agreement effective March 25, 2019 to acquire cannabis cultivation, processing, manufacturing, export and other rights in Argentina (the “Letter Agreement”) from BBV Labs Inc. (“BBV Labs”). Pursuant to a definitive agreement with the Argentinian state-owned company Cannabis Avatara, S.E. (“Cannava”), BBV Labs has entered into a joint venture (the “Joint Venture”) with Cannava to develop and cultivate cannabis on a 3.2 million square foot (74 acres or 30 hectares) prime agricultural property. Cannava will contribute the land to the Joint Venture as well as all required permits and authorizations necessary to import seeds, cultivate, grow and harvest cannabis, process cannabis and extract cannabis oil and other derivative products for scientific, medicinal and therapeutic purposes and to export cannabis and derivative products and import and export related equipment and products. The rights to cannabis licenses in Argentina acquired by Blueberries are amongst very few such agreements currently in place to supply cannabis products to the Argentinian population exceeding 44 million people. The acquisition also expands the Company’s production footprint internationally and may provide additional export opportunities to other countries with evolving cannabis regulations. Blueberries to build a large-scale modern cultivation facility and processing centre of excellence in Argentina. Cannava will contribute all licenses/permits and authorizations necessary to import seeds, cultivate, grow and harvest cannabis, process cannabis, extract cannabis oil and other derivative products, export cannabis and derivative products, and import/export equipment and products. Cannava will grant access to utilize 3.2 million square foot (74 acres or 30 hectares) of prime agricultural land for the cultivation and growth of cannabis in Jujuy Province, Argentina, ideally situated in an area with robust modern infrastructure including fresh water, modern power supply and a nearby airport, with additional land available for potential future expansion. Cannava will contribute all cooperation agreements with the National Institute of Agricultural Technology (INTA), Ministry of Security, Ministry of Public Health, National Council of Scientific and Technological Investigations (CONICET) and other regulatory and technological Argentinian authorities as required. Argentina’s relatively nascent cannabis industry began in 2017 with the legalization of cannabis for prescribed medical use. To date Cannava is the only entity authorized to cultivate and produce cannabis and derivatives in Argentina and Blueberries is among the first and limited number of companies to have such an arrangement with Cannava. The 3.2 million square foot site is located on the El Pongo agricultural property in the province of Jujuy. The area is located in an ideal, temperate climate that permits year-round cultivation and has a skilled and efficient agricultural labor force. The El Pongo farm is an established agricultural site with an operating history of over 100 years. The property is fed by multiple rivers providing ample access to fresh water for irrigation. 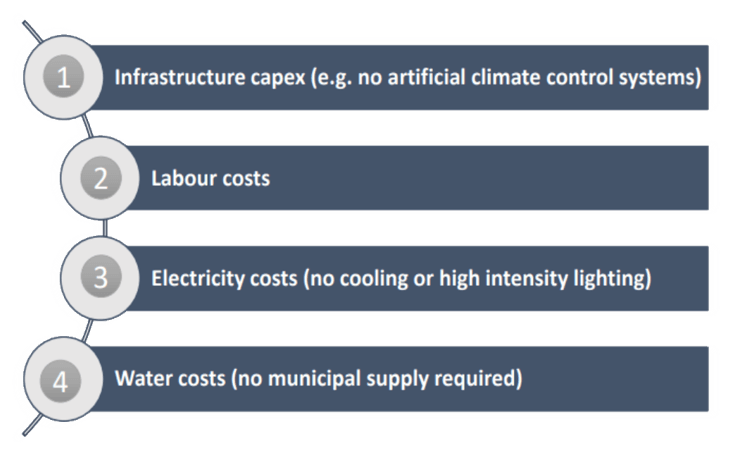 The power supply is modern and has capacity to scale as production capacity is increased. An international airport only 8km away is an ideal hub for import and export. 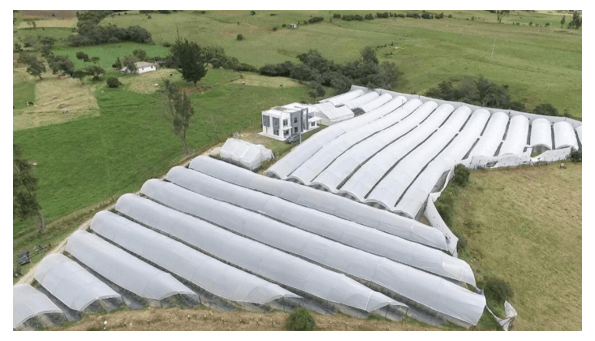 The recent authorization of El Pongo as Argentina’s first, and potentially on of the world’s largest cannabis farm is expected to pave the way for a new industry in Argentina. Pursuant to the terms of the Letter Agreement, Blueberries will acquire 75% of all of BBV Labs rights under the Joint-Venture with Cannava. As consideration for its interest, Blueberries will issue an aggregate of 16,000,000 common shares to BBV Labs and/or its nominees, which represents, in aggregate, approximately 12.9% of the number of issued and outstanding common shares of Blueberries (assuming no further share issuances by Blueberries before closing). The closing of the contemplated transaction is subject, among other conditions, to satisfactory legal and financial due diligence, and completion of a definitive share purchase agreement and is expected to close in Q2 2019. Pursuant to the Joint Venture Agreement, proceeds from the manufacture and distribution activities will be distributed 90% to BBV Labs and 10% to Cannava and proceeds from the cultivation and growth activities will be distributed 70% to BBV Labs and 30% to Cannava. Going forward, Blueberries will be responsible for providing the expertise and capital required to operate and develop the Joint Venture operation. The Letter Agreement was negotiated at arm’s length. Blueberries Medical Corp. (CSE: BBM) (OTC: BBRRF) (FRA: 1OA) (the “Company” or "Blueberries"), a leading Colombia-based licensed producer of medicinal cannabis and cannabis-derived products is pleased to announce the appointment of Dr. Patricio Stocker, the former Chief Executive Officer of PharmaCielo Ltd. (TSXV: PCLO) as Chief Executive Officer of the Company. Mr. Christian Toro has been appointed as Executive Chairman of the Board. Dr. Stocker is an accomplished executive with extensive international experience having led the successful development of numerous companies, including most recently PharmaCielo Ltd. (“PharmaCielo”), a leading Colombian producer of medicinal cannabis. Dr. Stocker joined PharmaCielo in 2015 and served as CEO through 2018. During his tenure of as CEO, Dr. Stocker was instrumental in the development of corporate strategies, formation of strategic relationships, the cannablis licensing process and capital raising initiatives. Dr. Stocker was also actively involved in the development of PharmaCielo’s Colombian operations to establish a scalable and competitive cultivation and oil production strategy. "Dr. Stocker has a proven track record of growing emerging businesses, combined with extensive expertise in the cannabis industry and capital markets. The board of directors is confident that his skillset and experience make him an ideal leader for the company as we continue to scale our operations rapidly and execute on our global growth strategy” stated Christian Toro, Executive Chairman. Dr. Stocker is fluent in English, Spanish, German and Portuguese. He also holds a PhD in Economics and B.A. in Business Administration from the University of St. Gallen in Switzerland. Prior to his role as CEO of PharmaCielo, Dr. Stocker held top management positions in the automotive industry, including service on the board of directors of multinational corporations. The Company has granted 1,000,000 compensation shares to Dr. Stocker as well as options (the “Options”) to purchase up to 3,000,000 common shares in the capital of the Company, pursuant to the Company’s stock option plan. The Company has also granted 100,000 Options to advisors of the Company pursuant to the Company’s stock option plan. The Options are exercisable at a price of $0.55 per share. Blueberries Medical Corp. (CSE: BBM) (OTC: BBRRF) (FRA: 1OA) (the “Company” or "Blueberries"), announced the appointment of Fabio Valencia Cossio, a former Colombian Minister, Senator and Ambassador to Italy with extensive strategic international business experience to its board of directors. Mr. Valencia’s distinguished political career spanned 40 years over which time he was an integral member of numerous significant political accomplishments. As Ambassador to Italy, Mr. Valencia achieved the highest level of diplomatic, commercial and cultural relations. The following is a few of his many achievements. As Minister of the Interior and Justice of Colombia, Mr. Valencia designed a comprehensive policy against the world drug problem and redesigned the national narcotics program. He also designed and implemented several important policies for the protection of human rights as well as a monitoring system for the legislative activity of the National Government in the Congress of Colombia. During his time in the High Council for Competitiveness, he helped to create and implement the national competitiveness system, recognized by the private sector as a great instrument for investment and business development and infrastructure in all regions of the country. Mr. Valencia was also instrumental with ​​the Puebla-Panama Plan, "the Mesoamerica Project", helping to have Colombia accepted as a full partner in the Mexico-Central America regional block, generating new multilateral opportunities for the Country. As an author he Mr. Valencia has written, “Towards a New Municipality” (1985), “Chronicles of Courage” (1994), “Asia: The Future” (1996), and “Formulas to Save Colombia” (1996). He also co-authored “Freedom of the Press in Colombia”, “Solutions for the Countryside”, and “Insecurity and Impunity in Colombia”, among others. Mr. Valencia has been granted options (the “Options”) to purchase up to 500,000 common shares in the capital of the Company, pursuant to the Company’s stock option plan. The Options are exercisable at a price of $0.55 per share. Blueberries Medical Corp. (CSE: BBM) (OTC: BBRRF) (FRA: 1OA) (the “Company” or "Blueberries"), a leading Colombia-based licensed producer of medicinal cannabis and cannabis-derived products, announces today that its common shares are now listed on the Frankfurt Stock Exchange (FSE) trading under the ticker symbol “1OA”. The Company’s common shares are also listed on the Canadian Stock Exchange and on the OTC in the United States. Blueberries Medical Corp. (OTC: BBRRF) (CSE: BBM) (the “Company” or “Blueberries“) a leading Colombia-based licensed producer of medicinal cannabis and cannabis-derived products, announces today that it has entered into a letter of intent (the “Agreement”) for a joint venture (the “Joint Venture”) with India Colorada S.A.S., (“India Colorada”), one of the leading Colombian artisanal brewers and producer of the oldest craft beer in Colombia, Cerveza Colón, to research, develop and commercialize non-alcoholic cannabis-based beverages. The Joint Venture is expected to undertake the research, development and commercialization of non-alcoholic cannabis-based beverages with the goal of being first to market in Latin America. Pursuant to the Joint Venture, both companies will apply their respective expertise toward the research and development of beverages containing tetrahydrocannabinol (THC), the psychoactive chemical compound in cannabis, as well as cannabidiol (CBD), the non-psychoactive compound. The Joint Venture is expected to commercialize newly developed cannabis-based beverages through India Colorada’s established and growing distribution channels in addition to Blueberries’ distribution channels. The Joint Venture will make decisions regarding commercialization of the products in different countries where permitted by regulation on an individual market basis. Pursuant to the terms of the Agreement, the parties intend to complete the development of new products and commercialization plan over the following 12 months. India Colorada is arms’-length to the Company. India Colorada is the owner of Cerveza Colón, the oldest craft beer brand in Colombia, and has an aggressive growth plan over the next 10 years which includes the renewal of the Cerveza Colón image, and the formulation of additional new recipes. For more information, please visit www.indiacolorada.com. CDN MSOLAR Corp. (“CDNM”) announces that it has entered into a binding letter agreement (the “Letter Agreement”) with Blueberries Cannabis Corp., a privately held issuer existing under the laws of the Province of Ontario (“Blueberries”), which outlines the general terms and conditions pursuant to which CDNM and Blueberries have agreed to complete a transaction (the “Transaction”) that will result in a reverse take-over of CDNM by the current shareholders of Blueberries. The Letter Agreement was negotiated at arm’s length and is effective as of September 5, 2018. 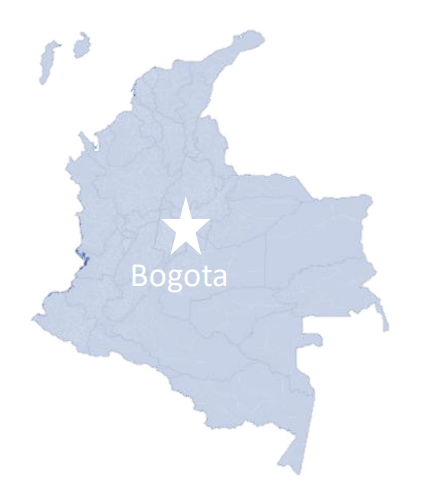 Blueberries SAS, a wholly-owned subsidiary of Blueberries, is seeking to become a large scale producer of naturally grown premium quality cannabis with its primary operations well situated in the Bogotá savanna in central Colombia. Lead by a team with deeply specialized and proprietary expertise in agriculture, genetics, extraction, medicine, pharmacology and marketing, Blueberries SAS has received all the licenses required for the cultivation, production, domestic distribution and international export of cannabidiol (CBD) based medical cannabis. The License for domestic distribution and export has also been issued by the Health Department, which was the last formal requirement by the Justice Department for the issuance of the tetrahydrocannabinol (THC) permit which is in process. Blueberries SAS’ combination of leading scientific expertise, agricultural advantages, and distribution arrangements has positioned the company to become a leading international supplier of naturally grown, processed, and standardized medicinal-grade cannabis oil extracts and related products. 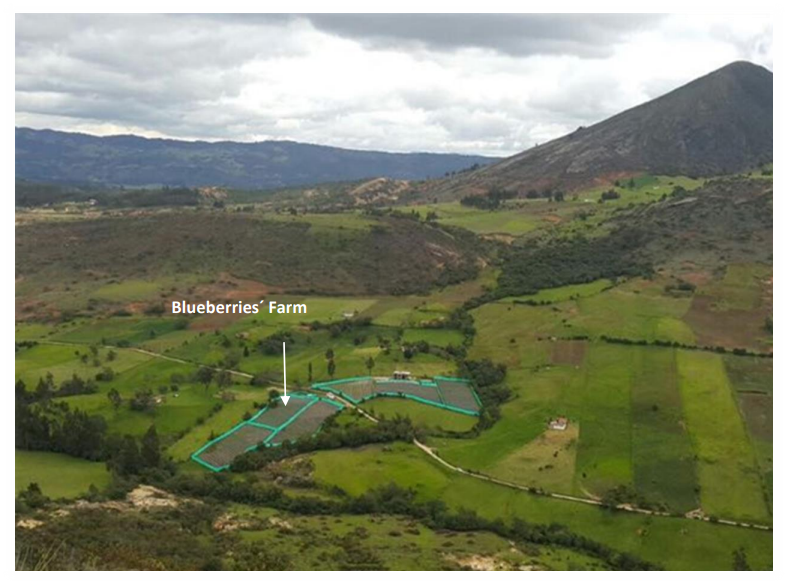 With deep local experience, relationships and access to excellent infrastructure, Blueberries SAS is also well positioned to continue the expansion of its operations and commence cultivation of medicinal grade cannabis on its three hectares of approved lands located in the Bogotá savanna, with the availability of 30 additional hectares for continued scalability. It is currently anticipated that the proposed Transaction will be effected by way of a three-cornered amalgamation or other similar form of transaction as is acceptable to the parties. There are currently outstanding an aggregate of 7,392,759 common shares in the capital of CDNM (each, a “CDNM Common Share”) and 100 common shares in the capital of Blueberries (each, a “Blueberries Share”); however, Blueberries has commitments to issue, prior to the completion of the Offering (as defined herein), an aggregate of 63,000,000 Blueberries Shares in conjunction with its organization and the acquisition of Blueberries SAS. Pursuant to the proposed Transaction, the holders of the issued and outstanding Blueberries Shares shall receive one CDNM Common Share for each Blueberries Common Share held. As at the date hereof, no CDNM Shares or Blueberries Shares are reserved for issuance under any outstanding convertible securities of either party. On or immediately prior to the completion of the proposed Transaction, it is anticipated that: (i) CDNM will affect the Name Change (as defined herein); and (ii) the board of directors of CDNM shall be reconstituted to consist of nominees of Blueberries and all existing officers of CDNM shall resign and be replaced by nominees of Blueberries, all as further described below. Prior to the completion of the Transaction, it is anticipated that Blueberries will complete a non-brokered private placement of approximately 30,000,000 subscription receipts (the “Subscription Receipts”) at a price of C$0.25 per Subscription Receipt for gross proceeds of approximately C$7,500,000 (the “Offering”). Each Subscription Receipt shall entitle the holder to receive, upon satisfaction of certain escrow release conditions, and without payment of additional consideration, one unit in the capital of Blueberries (a “Unit”). Each Unit shall consist of one Blueberries Share and one-half of one Blueberries Share purchase warrant (each whole warrant, a “Warrant”), which Units shall be exchanged, without further consideration, for one Unit in the capital of the Resulting Issuer (as defined herein), upon the completion of the proposed Transaction. Following the exchange for Units of the Resulting Issuer, each Warrant of the Resulting Issuer (a “Resulting Issuer Warrant”) shall entitle the holder thereof to acquire one common share of the Resulting Issuer (a “Resulting Issuer Share”) at a price of C$0.40 per Resulting Issuer Share for a period of 24 months. The net proceeds from the Offering will be used to expand the business of Blueberries, for working capital and for general corporate purposes. Further details regarding the Offering will be included in a subsequent news release once additional details become available. 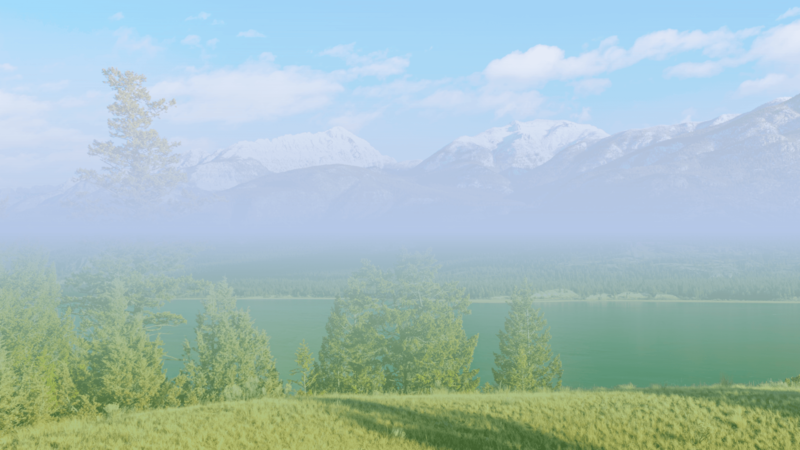 Upon completion of the Transaction, and assuming the maximum gross proceeds in the Offering are raised, there will be 100,392,759 common shares of the combined entity (the “Resulting Issuer”) issued and outstanding, of which it is expected that the current shareholders of CDNM will hold approximately 7.4%, purchasers in the Offering will hold approximately 29.8%, and the former shareholders of Blueberries will hold approximately 62.8%. The obligations of CDNM and Blueberries pursuant to the Letter Agreement shall terminate in certain specified circumstances, including in the event that the proposed Transaction is not completed by February 5, 2019. The proposed Transaction is subject to requisite regulatory approvals and standard closing conditions, including the approval of the directors of each of CDNM and Blueberries of a definitive agreement in respect of the Transaction (the “Definitive Agreement”), as well as the conditions described below. Upon completion of the Transaction, it is the intention of the parties that the Resulting Issuer will continue to focus on the current business and affairs of Blueberries SAS. Christian Toro, the current Chief Executive Officer of Blueberries SAS, will serve as Chief Executive Officer and a Director of the Resulting Issuer. Chris Reid, the current interim Chief Financial Officer of Blueberries SAS, will serve as interim Chief Financial Officer of the Resulting Issuer. Camilo Villalba, the current Chief Operating Officer of Blueberries SAS, will serve as Chief Operating Officer of the Resulting Issuer. Pablo Santos, the current Chief Marketing Officer of Blueberries SAS, will serve as Chief Marketing Officer of the Resulting Issuer. Set forth below is a description of the backgrounds of all persons who are currently expected to serve as directors and officers of the Resulting Issuer. Mr. Toro began his professional career at Publicidad Toro in 1978, a leading Colombian marketing and advertising firm, and was appointed Chief Executive Officer in 1982. Mr. Toro is also the founder of Manning Selvage & Lee (a public relations firm) and Arena (a media buying company). Mr. Reid has served as the Chief Executive Officer and President of Petrodorado, a petroleum company with operations in Colombia, since January 2016 and as the Chairman since May 2016. Mr. Reid also served as the Interim Chief Executive Officer, Chief Financial Officer and Interim President of Petrodorado from February 2012 to January 2016, where he was involved in the turnaround of the company through a divestiture program. Additionally, Mr. Reid has been a director of Potash Ridge Corporation since June 1, 2016. Mr. Reid is a Chartered Professional Accountant whose career includes 12 years of experience in industry and international business. Mr. Reid is currently a director of First Cobalt Corp., Potash Ridge Corp., Integrated Energy Storage Corp. and Petrodorado. Mr. Reid is a member of the Institute of Chartered Accountants of Alberta and the Chartered Professional Accountants of Alberta. Mr. Reid holds a Bachelor of Business Administration from Saint Francis Xavier University. Mr. Villalba, a bilingual finance and foreign trade professional, was a founding partner in 2016 of Optim Holdings, a consulting firm focused on natural resources to assist companies in the development of investment projects along the value chain in oil and gas and mining industries. Mr. Villalba has considerable experience in oil and gas project evaluations, financial planning, budgeting and reporting, in addition to project structuring, promotion and execution of mineral exploration and oil trading operations. Mr. Villalba holds a Bachelor degree in Finance and International Trade from Universidad Sergio Arboleda in Bogotá, Colombia (2008), a Master in Business Administration from the London School or Business and Finance (2011), and a specialization in the oil and gas industry from Saint Vincent College (2014). Mr. Santos, has extensive sales experience in IT solutions in Colombia and Latin America. Since 2016, Mr. Santos has served as the Director of Business Development at NECSYS S.A.S, a Colombian telecommunications company focused on corporate IP telephony networks and unified communications for both the private and public sectors. Prior to joining NECSYS, Mr. Santos worked as Channel Manager for Huawei and Sales Engineer (Latin America) for NEC Corporation of America. Mr. Santos holds a Bachelor of Science in Electrical Engineering from Pontificia Universidad Javeriana in Bogotá, Colombia (1996) and a Masters in Business Administration (Marketing and Finance) from the Kelley School of Business at Indiana University (2002). Mr. Vidal has developed several programs related to continuing medical education and the development of technical argumentation, has conducted sales force training, and collaborated in the development of visual aids for medical visits, and key opinion leader (KOL) development plans. Mr. Capponi has over 14 years of experience and a successful track-record in creating, structuring and selling natural resources companies worth over $5 billion working in Europe and both North and Latin America. Mr. Capponi is the founder of Western Atlas Resources, and was Co-Founder of CB Gold Inc. where he also served as President and CEO from 2009 to 2015 (CB Gold was acquired by Red Eagle Mining in December 2015). Prior to that Mr. Capponi was with Endeavour Financial and has held director and management positions with private companies. Mr. Capponi holds a master’s degree in economics and business administration from the LUISS Guido Carli University of Rome, Italy. Mr. Sole is currently a member of the board of directors of Mapfre Seguros Generales de Colombia and has served in various capacities with Grupo Planeta, a Colombian publishing and media company, since 1989 and is currently the Chairman of the Board of Directors of Grupo Planeta in Colombia and the Hispano-Colombian Chamber of Commerce. He is an advisor to the General Directorate of Indra and General Director of Empresas; Inversiones Rasma, S.A.S. Begar Andina, S.A.S., Seralia Andina, S.A.S. and Andina Media de Inversiones, S.A.S. Mr. Sole has also been general Director for America of Grupo Planeta, Corporate President for the Andean Area of Grupo Planeta, Vice President of El Tiempo Publishing House and Member of the Board of Directors for CEET TV, El Tiempo Publishing House and Canal 3 Television in Colombia. From 1985-1989, he was General Director and Director of Administration at the oil refining company Lubricantes del Este de Espana (LUDESA) in Spain. He has also been Department Head, Accountant and Section Chief in the department of cost accounting at Novartis, a chemical and pharmaceutical company. Mr. Castañeda is the Chief Executive Officer and co-founder of Blueberries SAS, and has experience in managing blueberry cultivation in the Bogotá savanna, as one of the pioneers in the region. Mr. Castañeda formed a solid technical and administrative team that has made Blueberries SAS a success in blueberry cultivation and is expected to provide technical assistance and advice to the company as it transitions to cannabis cultivation. Mr. Castañeda is a Chartered Accountant specializing in international accounting with 12 years of experience leading the finance, logistics and marketing functions for various entities, and has experience in Canada and Bahamas where he has worked day-to-day in finance and accounting roles. Mrs. Castañeda is the Chief Financial Officer and co-founder of Blueberries SAS. Mrs. Castañeda has developed exceptional management and board skills, a strong knowledge of the international oil and gas sector, and financial reporting requirements. Mrs. Castañeda’s role at Blueberries SAS also includes developing and fostering strategic alliances with clients and suppliers and she will provide technical assistance and advice to the company as it transitions to cannabis cultivation and marketing. Mrs. Castañeda obtained her Bachelor’s Degree in Finance and a Masters of Banking and Finance from La Universidad de los Andes in Bogotá, Colombia, with a focus on international trade and marketing. Mr. Villalba has over 20 years of years of experience in Latin America in the mining, exploration, logistics, and trading of hydrocarbons, notably in Colombia and Mexico and has developed an extensive network in governmental and private organizations at both the local and international levels. Mr. Villalba has active presence in up-mid and downstream projects with important achievements in the development of integral logistics, achieving economic efficiencies, delivery times and commercialization, specifically in Mexico. CDNM shall obtain receipt of requisite shareholder approvals in connection with the following matters: (i) a change of name to “Blueberries Cannabis Corp.” or such other name as may be requested by Blueberries and acceptable to applicable regulatory authorities (the “Name Change”); (ii) the election of the directors of the Resulting Issuer to replace the current directors of CDNM immediately following the completion of the proposed Transaction; and (iii) the approval of the Transaction, if required by regulatory authorities. CDNM and Blueberries entering into the Definitive Agreement. Receipt by Blueberries SAS of a cultivation license (THC) and processing and extraction license by the applicable Colombian regulatory authorities in form and substance satisfactory to CDNM and the required approval of any other third parties. The common shares of the Resulting Issuer having been approved for listing on the Canadian Securities Exchange (“CSE”). Blueberries Medical Corp. (CSE: BBM) (the “Company” or "Blueberries") is pleased to announce the completion of its business combination with Blueberries Cannabis Corp. (the "Private Company"), a leading Colombia-based licenced producer of medicinal cannabis and cannabis-derived products (the "Transaction"). Trading in the common shares of Blueberries (the “Blueberries Shares”) is expected to commence on the Canadian Securities Exchange (the “CSE”) at market open on Wednesday, February 6, 2019 under the symbol “BBM”, following the issuance by the CSE of its final bulletin in respect of the Transaction, expected today. Blueberries is continuing to advance its developments to become a large-scale producer of naturally grown premium quality cannabis with its primary operations well situated in the Bogotá savannah in central Colombia. Lead by a specialized team with proprietary expertise in agriculture, genetics, extraction, medicine, pharmacology and marketing, Blueberries has received all licenses required for the cultivation, production, domestic distribution, and international export of CBD (cannabidiol) and THC (tetrahydrocannabinol)-based medical cannabis. Blueberries’ combination of leading scientific expertise, agricultural advantages, and distribution arrangements has positioned the Company to become a leading international supplier of naturally grown, processed and standardized medicinal-grade cannabis oil extracts and related products. Receipt of cultivation license, making Blueberries fully licensed for cannabis cultivation, processing/extraction and export in Colombia and abroad. Completed a C$8,807,500 private placement, leaving the Company well capitalized to execute on its growth strategy (see “Subscription Receipt Financing” below). Pre-registration completed for 134 exclusive cannabis strains with high contents of CBD & THC. 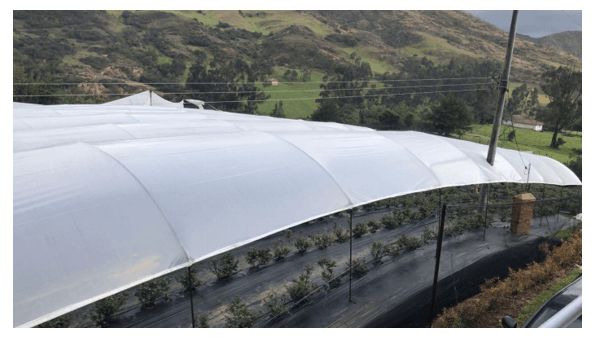 Commencement of cultivation in 107,000 ft2 open-air greenhouse facility with commercial production anticipated in Q4 2019. Significant international sale and distribution agreements have been put in place for current products and products under development. Entered into a binding letter of intent with Harmony and Life SAS, a leading wellness clinic in Colombia pursuant to which the clinic will collaborate with Blueberries on the research, development, commercialization and distribution of cannabis-based products. Continued to further strengthen the Company’s management and operational teams (See “New Board and Management” below). Expansion of the Company’s cultivation facility has begun with the goal of growing to approximately 861,000 ft2 by the end of 2019 to meet expected immediate demand. Blueberries has capacity to increase its cultivation capacity up to approximately 120 hectares (~13 million ft2) of total cultivation capacity. Engineering and design for a cannabis oil extract processing facility to provide for near-term oil production, with additional space to accommodate modular increases in production capacity as demand for the Company’s products grows. Continue to expand product portfolio. Negotiation of additional sales and distribution agreements. Pursuant to the Transaction, the Company, formerly CDN MSolar Corp. (“CDNM”), acquired all of the issued and outstanding shares of Private Company through a three-cornered amalgamation of Private Company and a wholly-owned subsidiary of the Company, with the former shareholders of Private Company receiving one Blueberries Share for each share of Private Company held. Immediately prior to the completion of the Transaction, CDNM changed its name to “Blueberries Medical Corp.” The Transaction constitutes a reverse take-over as the former shareholders of Private Company now own (on a non-diluted basis) approximately 93.1% of the issued and outstanding Blueberries Shares immediately following the completion of the Transaction. On closing of the Transaction there were 106,622,772 Blueberries Shares issued and outstanding, with an additional 26,104,150 Blueberries Shares reserved for issuance upon the exercise of securities convertible into Blueberries Shares. listing statement of Blueberries dated January 31, 2019 (the “Listing Statement”) and posted under Blueberries’ issuer profile on SEDAR at www.sedar.com. Prior to the closing of the Transaction, Private Company completed a non-brokered private placement of subscription receipts (the "Subscription Receipts") at a price of C$0.25 per Subscription Receipt for gross proceeds of C$8,807,500 (the “Offering”). The proceeds from the Offering, less certain expenses, were placed into escrow on completion of the Offering. In connection with the completion of the Transaction, the Subscription Receipts were converted on a one-for-one basis into a total of 35,230,000 Blueberries Shares and 17,615,000 common share purchase warrants of Blueberries exercisable for a period of two years at C$0.40 per warrant (the “Blueberries Warrants”). The escrowed proceeds from the Offering, less a finder’s fee, and certain transaction fees and expenses, have been released from escrow to Blueberries. Outstanding finder warrants issued in connection with the Offering were also exchanged for comparable securities of Blueberries on a one-for-one basis. Biographical descriptions of each director and member of the senior management team of Blueberries is included in the Listing Statement. Further to its news release dated September 6, 2018, CDN MSolar Corp. ("CDNM") announces that the Canadian Securities Exchange (the "CSE") has conditionally accepted its proposed transaction (the "Transaction") with Blueberries Cannabis Corp. ("Blueberries"), which, upon completion, will result in a reverse take-over of CDNM by the shareholders of Blueberries. The Resulting Issuer Shares (as defined below) are expected to commence trading on the CSE under the stock symbol “BBM” on or about February 6, 2019, pending completion of the Transaction. CDNM and Blueberries also announce that Blueberries has completed the previously announced private placement of subscription receipts (the "Subscription Receipts") raising gross proceeds of C$8.8 million (the "Offering"). The Offering was completed in multiple tranches, with Blueberries issuing an aggregate of 35,230,000 Subscription Receipts at a price of C$0.25 (the "Offering Price") per Subscription Receipt. Each Subscription Receipt entitles the holder to receive, upon satisfaction of the Escrow Release Conditions (defined below) on or before the escrow release deadline, and without payment of additional consideration, one unit (a "Unit") in the capital of the resulting issuer arising from the Transaction (the "Resulting Issuer"), which is expected to be named "Blueberries Medical Corp." Each Unit shall consist of one common share of the Resulting Issuer (a "Resulting Issuer Share") and one-half of one Resulting Issuer Share purchase warrant (each whole warrant, a "Resulting Issuer Warrant"). Each Resulting Issuer Warrant shall entitle the holder thereof to acquire one Resulting Issuer Share at a price of C$0.40 for a period of 24 months following the completion of the Transaction. The proceeds from the Offering (the "Escrowed Funds"), have been placed into escrow pending satisfaction of the following conditions: (i) the completion of the Transaction, including, without limitation, the receipt of all required shareholder and regulatory approvals required in connection with the Transaction, and the conditional approval of the CSE for the listing of the Resulting Issuer Shares; and (b) CDNM and Blueberries having delivered a direction to the escrow agent of the Subscription Receipts confirming that the conditions set forth above in item (i) have been met or waived (collectively, the "Escrow Release Conditions"). With conditional approval from the CSE having been obtained, CDNM and Blueberries are expected to the close the Transaction next week at which time the Escrowed Funds will be released to the Resulting Issuer. Should the Escrow Release Conditions not be satisfied or waived on or before February 5, 2019, or if Blueberries announces to the public that it does not intend to satisfy the Escrow Release Conditions, the Subscription Receipts will be cancelled and the Escrowed Funds will be returned to subscribers (a "Refund Event"). To the extent there is any shortfall in the event of a Refund Event, Blueberries will provide sufficient funds to offset any such shortfall. In connection with the Offering, a cash finder’s fee of $616,525, representing 7% of the gross proceeds of the Offering, will be paid to an eligible finder, and 2,466,100 finder warrants (the "Finder Warrants"), representing 7% of the number of Subscription Receipts sold, will be issued to an eligible finder on satisfaction of the Escrow Release Conditions. Each Finder Warrant will entitle the holder to acquire one Unit for $0.25 for a period of 24 months after the completion of the Transaction. CDNM and Blueberries also announce that they have signed a definitive business combination agreement effective as of February 1, 2019 (the "Agreement") with a wholly-owned subsidiary of CDNM which outlines the terms and conditions pursuant to which CDNM and Blueberries will complete the Transaction. Upon completion of the Transaction, it is the intention of the parties that the Resulting Issuer will continue to focus on the cultivation, manufacturing and exporting of medical cannabis in Colombia. Assuming the Escrow Release Conditions are satisfied, the net proceeds from the Offering shall be used by the Resulting Issuer to expand the business of the Resulting Issuer, and for working capital and general corporate purposes. Listing of the Resulting Issuer Shares is subject to CDNM fulfilling all listing requirements of the CSE. There can be no assurance that proposed Transaction will be completed as currently proposed or at all. People used to hike or ski doo through the bush and trade pounds a decade or so ago. Price for pot was much higher before legal medical cannabis came around. The house committee passed the bill for a limit for 10% THC for all cannabis flower in Florida. The bill now goes to the house for a vote. The anxiety I’m feeling is ridiculous. It’s a terrible feeling to know your elected reps truly don’t care about you at all. Only money. CBD use doesn’t have psychoactive effects but still provides relief to many issues, arthritis, anxiety, etc. Will the fed gov’t criminalize seniors who collect social security, medicare, medicaid, and other forms of social services if they use it to improve their lives through medical cannabis? I didn’t utilize cannabis back in those good ol days. Sure wish those prices would come back! Many of us don’t even have grow “Rights” Which makes life-saving medical cannabis too expensive for many patients Ins co’s won’t cover cannabis medication Changes are needed ASAP! #MedicalCannabis is safe for #ElderlyPatients, works to reduce pain for many, and nearly 1 in 5 patients reduced opiate doses, a new research article published in the European Journal of Internal Medicine suggests. A delegation of senior Thai gov officials visited Israel to learn from Israeli expertise in medical cannabis cultivation. Do you think Israel being the global center for cannabis science is well known? There are 480k medical users who are registered, and another 640 who aren’t. That number will keep growing, and will only be more difficult to adjust to the longer they wait. taxes on medical cannabis hurt patients and fuel the black market. Remove taxes on medical cannabis in the upcoming budget. @JustinTrudeau I stand with patients in urging our government to remove all taxes on medical cannabis! one of my clients did much better once we added CBD oil to his medical cannabis script. For every medical cannabis dose, we added equal amounts of CBD oil. It prevented what he described as feeling “off” and not fully present. what about CBD products for pets? My dog has major separation anxiety. Will there be CBD products for pets? The House Health committee just passed a bill to permit vertical integration and increase the number of growers, processors and distributors of medical cannabis, per the advisory board’s recommendations last year. Rest of week is a CRUCIAL TIME for Medical Cannabis in OK. Tomorrow the Unity Bill will be heard in Senate Rules Committee with a quick move for a floor vote on Thurs. Thurs and Fri will also see the OSBMLS – licenses M.D.’s- considering their own Admin Laws to change MC access.